"Hotshot" Danny Duggan returns to RCW at "New Year's Retribution" on January 24th in Edmonton Alberta and will also be appearing at "Overdrive" on January 25th in Calgary Alberta. Danny Duggan is coming back to RCW with one goal in mind and that is prove he is the best and wants to prove it against in Alberta Wrestling. 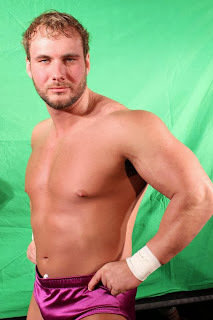 Danny is fresh off of a successful tour of Japan where he went undefeated against some of the top Japanese talent. So make sure not to miss the return of Danny Duggan to RCW. International Superstar Mentallo will making his RCW Debut this January at RCW's New Year's Retribution. Mentallo comes into RCW as a well travelled international wrestling star. He has wrestled all across the world including Japan, Mexico and has faced many of today's top stars such as Daniel Bryan, Seth Rollins, Jushin Liger and many more. Mentello now comes to RCW to face the best in Alberta Wrestling. 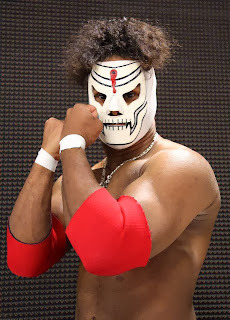 So make sure not to miss out when this REAL International Wrestling star comes to Real Canadian Wrestling in 2014.